Last Wednesday was officially the beginning of Lent. Like many Mexican-Americans raised catholic, every Friday during Lent we do not eat meat. 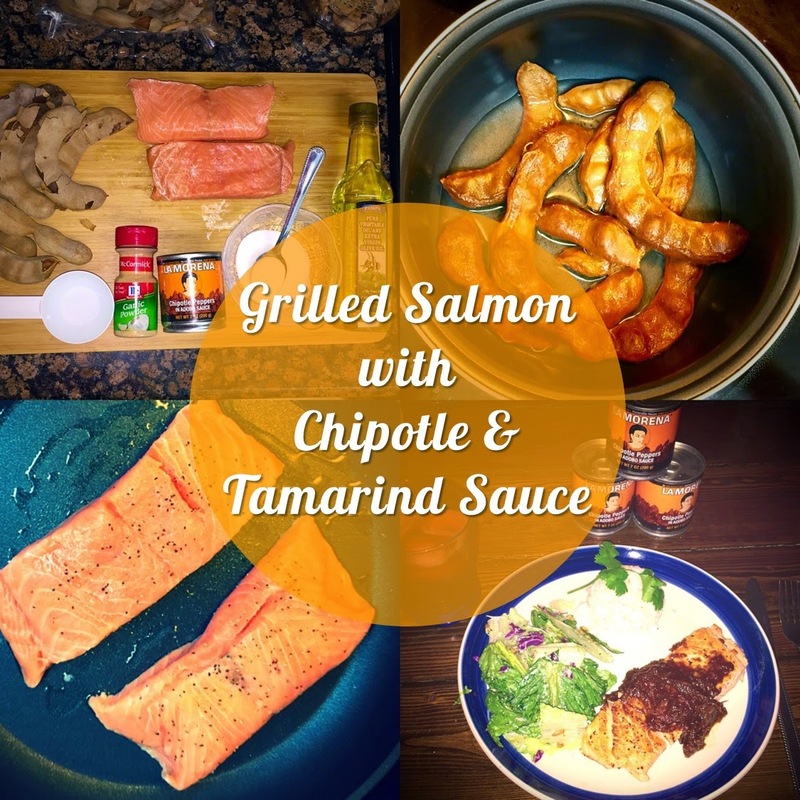 That is why I want to share one of my mother's favorite recipes; grilled salmon with chipotle and tamarind sauce. This is a delicious and healthy recipe. For many of us, seasonings and salsas are very important, they deliver that spicy zest. I totally recommend using chipotle peppers La Morena, they have that delicious traditional Mexican flavor especially needed for this recipe. The best part is that you can find them at any of La Michoacana Meat Market locations. In a pot, place 1/4 of a cup of water and cook the tamarind fruit, add 2 tablespoons of sugar and mix until the pulp is out of the fruit. Add half of a can of chipotle peppers La Morena, (if you like it extra spicy add the whole can) pour the remaining 1/4 of a cup of water and continue mixing, until there is enough sauce. In a pan add one tablespoon of olive oil and grill the salmon fillets, add garlic salt to taste. Once the fillets are ready, add the chipotle with tamarind sauce on top. *Suggested sides include, steamed rice, fresh salad and hibiscus water. I hope you enjoyed this delicious and unique recipe! Don't forget there is a giveaway! La Morena is giving away $200 Visa Gift Cards! I've shared one of my mom's "secret" lent recipe and I'd love to hear yours! Leave a comment to share your family lent traditions using chipotle peppers.